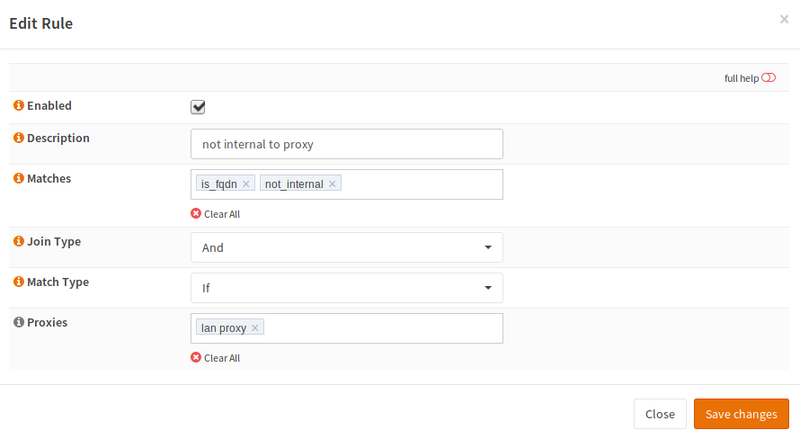 OPNsense supports generating PAC files to provide automatic proxy configuration files to clients. For example if your web GUI is running at http://192.168.0.1/, your PAC URL will be http://192.168.0.1/wpad.dat. Your browser may be unable to connect to the internet if the PAC file is not available. This type of configuration is not recommended on mobile devices like laptops if employees can use the devices for home office. For such devices WPAD should be used. Enter a name for the match and an optional description. Then choose what to match on. In our example we want to achieve that hostnames without a FQDN (like server01) and also our internal domain (example.com) will be excluded from the proxy. Name A unique name for the match to call it from rules. Description A short description for your own reference. The rest of the fields depend on the used Match Type . For example if we match on “Plain Hostname”, we do not need any additional parameters. Now switch to PAC ‣ Proxies and add new proxy servers. Now as the matches and the proxies exist, rules can be built. For that, switching to PAC ‣ Rules is required. Click the orange reload button and you are done. Web Proxy Auto Discovery is used to find the PAC file for the domain. 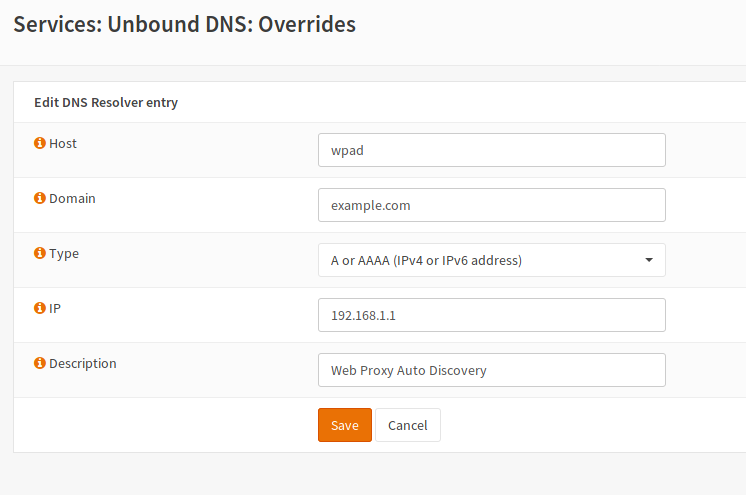 When you use this option, the wpad hosts and the TXT records for the domain will be overridden. This may break some other records like TXT records for SPF for this particular domain. This will define the host records of any domain configured in DHCP as CNAME for your firewall host. It will also override TXT records resolve to the URL to the PAC file. When DNS is used, OPNsense must respond via HTTP on port 80. Save the settings and apply the changes. If you have HTTP Redirect enabled via System ‣ Settings ‣ Administration, make sure your browser accepts the certificate presented by OPNsense, as it won’t download wpad.dat if the certificate is untrusted. Open the page Services ‣ DHCP ‣ Server, select the correct interface and scroll down to the “Additional Options”. 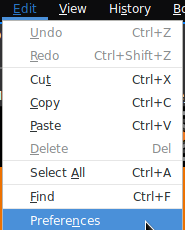 click the menu icon and then click Preferences . Then scroll down to the bottom of the page and click Settings in the Network Proxy settings. In the newly opened window, you can setup your proxy settings. If you want to force Firefox to use WPAD/PAC, choose Auto-detect proxy settings for this Network . Click save and you are done.